If you’re currently living in Alaska and need help with unsecured, revolving or credit card debt? Call the Alaska Free Debt Helpline (907) 885-6188. 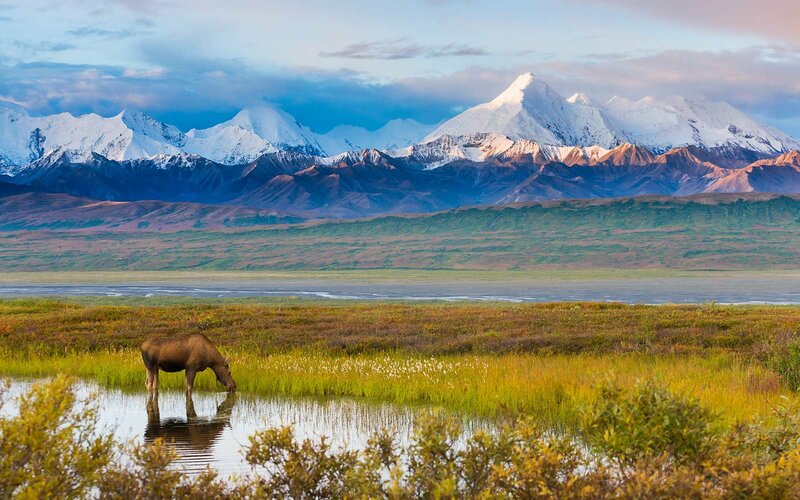 Alaska is the biggest state in America, and one of the most beautiful, with its snow-capped mountains and stunning landscapes. However, statistics reveal that consumers in Alaska are drowning in credit card debt. Alaska carries more credit card debt than any other state in the nation, according to ValuePenguin.com. The average credit card debt per household in Alaska is $13,048. The average credit card debt in Alaska is 13% more than Wyoming. How to Consolidate Debt in Alaska? People aren’t aware of how easy it is to consolidate debt in Alaska, but the truth is, it’s really easy if you use a reputable debt relief company. Debt relief programs are the best solution for consumers who are unemployed and buried in high debt. These programs make it possible to reduce unsecured debt by up to 40%. You get multiple debt repayment options in Alaska to choose from. All debt relief programs in Alaska will also consolidate payments into one affordable payment. Depending on which repayment plan you choose will determine whether or not your creditors get paid on a monthly basis. Without a debt relief or consolidation program, Alaska residents have only one other direction to take. And that’s bankruptcy! Bankruptcy will destroy a person’s financial situation and make it very difficult to recover. The state of Alaska and government don’t offer any government debt relief or consolidation options for credit card debt. There are federal student loan consolidation programs, but nothing for credit card debt. If you can afford to pay more than the minimum monthly payments, in your case there are additional debt relief options. You can use the debt snowball method to pay off debt, or possibly even a debt consolidation loan. Talk to an IAPDA certified Alaska debt counselor at (907) 885-6188 and find out the simplest way to get out of debt today! The following page provides Alaska residents with debt relief options for 2018 and beyond, provided by Golden Financial Services. Alaskans can now safely address any unsecured debt; including credit cards, student loans, and debt collection accounts all through Golden Financial Services. How do Alaska Debt Relief Programs Affect My Credit Score? Some downsides come along with most debt relief programs. All debt settlement programs in Alaska have a negative effect, adversely affecting credit scores. If a debt settlement company fails to explain these potential downsides to you, that’s a red light. The bottom line is, if you don’t pay your monthly payments in full every month, your credit score will be adversely affected. The fact is though, having high debt balances also negatively affects credit. You should speak with a non-profit credit counselor or talk with an IAPDA certified expert at Golden Financial Services. Looking to reduce your interest rates on credit cards? Consumer credit counseling programs in Alaska have the least adverse effect on credit scores because creditors continue to get paid on a monthly basis. You will pay your entire debt back with consumer credit counseling, just less interest. You can expect to get out of debt in around 4.5 years with consumer credit counseling. This debt calculator tool is only providing an estimate of how much a person can save with each debt relief option. There is no guarantee that you will qualify for any of these plans. To check eligibility, you must call in and talk with an IAPDA certified debt expert. To find out if you qualify for debt relief, Alaska residents can start with a free consultation by calling Toll-Free (866)-376-9846. What’s the preferred Alaska debt relief program? Debt validation is the first choice for Alaska residents. Before paying their alleged debts, debt validation makes sure that the debt collection companies are abiding by the laws. If a debt is invalidated, the debt may not have to be paid, and the debt comes off your credit! If the debt collection companies are abiding by the laws, debt settlement would be the second best route for Alaska residents. A debt settlement program may be your fastest route to get out of debt, but it will adversely affect your credit score. You have to stop the bleeding. You can always rebuild your credit. If you want your interest rates reduced, consumer credit counseling and debt consolidation will be your best options for debt relief. AK debt consolidation loans can be obtained at a bank, credit union and even through a balance transfer card. With debt consolidation and consumer credit counseling, a person stays current on their payments. Keep in mind though, debt consolidation is a loan, and consumer credit counseling is not a loan. Alaska is a beautiful state, but it’s time for Alaskans to improve their finances! Alaska consumers are eligible for a free professional consultation, with no obligation. You may be entitled to one new reduced & feasible payment to become debt-free in under 3-years. Debt relief options can make your life easier, having only one payment to worry about each month. Whether you live in New Mexico, Indiana or here in Alaska, debt settlement, validation, and debt consolidation are all viable options. Depending on what your goals are, your credit score and other factors, will help to determine which plan is best for you. Here at Golden Financial Services, a California based debt relief company, our job is to show you all of your options and help you find the best plan. Alaska Debt relief, settlement, and consolidation is only a phone call away, just call 866-376-9846 now! Select your debt amount and continue! Just One Step Left To Be Debt Free! Do you qualify for debt relief in Alaska?